When you’re feeling tired and weary, when you have a heavy heart, when you’re too tired to find the words, are you tempted to skip prayer? In these times, prayer can feel hard, yet these are the times we need prayer the most. These three prayers for the weary heart are my go-to prayers when I’m feeling worn. How can you pray when you’re tired and weary? You try to get the morning started well for the family, but instead of calm supportive words, all you manage to speak are words of frustration. You’re yelling at the kids, your husband – and just hoping you can get everyone on their way soon so you can tackle the massive to-do list waiting for you. You’re exhausted – but more than just physically tired, you’re soul-weary. The burdens are heavy on your shoulders and there’s more work to do than hours in the day. In these times, it’s tempting to keep pressing on. You’d love a break – a nap – anything – but you feel compelled to push forward. When you’re soul-weary, that’s when you need prayer the most. I’ve learned the hard way what kind of collateral damage can be caused by pressing forward on my own when I’m soul-weary. So, instead of pressing on through the weariness, push pause and stop to pray. Pray, even when you’re too tired and weary to pray. Allow God to refresh your soul. Now when I feel myself getting to this point and am physically tired, soul-weary, spiritual exhausted, I make a point to stop and pray. Prayer allows God to refresh your soul and speak fresh life into your heart. Prayer is where God can restore and heal all that’s weighing you down. These are hard times to pray, though. You may not have the words. Your mess feels too big to bring to God. You don’t know how to pray. So, use one of these three prayers for the weary soul when you’re feeling too tired and weary to pray. Join our 'Prayers and Possibilities' newsletter for weekly encouragement and I'll send you "3 Prayers to Refresh a Weary Soul" as a FREE gift. You don’t need a lot of words (or any) to pray. Sometimes what I need most when I’m soul weary is to simply sit in the presence of God and let him refill my heart. So, find a quiet place (go hide in your closet or bathroom if you need to – I have!) and sit in the silence with God. Ask God to be with you and to wash over your heart. Visualize God pouring his grace and mercy into your heart. Feel his loving arms around your shoulders. Release all that’s weighing on you and set it aside. Breathe and rest in him. Is there a song that ministers to your weary heart? Put it on repeat and allow the song to be your prayer. I recall another day when I was this tired and weary. I was at the end of my rope and I wasn’t sure how I’d plow through the workday ahead. I wanted to be anywhere but there. I put the song “Worn” by Tenth Avenue North on repeat, plugged the earbuds into my ears, and allowed the song to be my steady prayer throughout that day. The words became the cry of my heart. By the end of the day, I’d shifted from clinging to the words of ache to the words of hope. I knew I’d get through this season and felt restored. When I’m in this state of intense weariness and in such need of God’s restoration in my life, I sometimes skip straight to the heart of my prayer. I’m too worn out and in need to spend a lot of time in other parts of prayer, so I cut to the chase and pour out my heart. I lay it all out for God – the weariness, the burdens, the mistakes I’ve made, the request for him to step in and help. Sometimes it’s a short prayer, maybe even a few words I repeat over and over throughout my day. Other times, I spend more time in prayer pouring it all out. Both are therapeutic in their own ways. 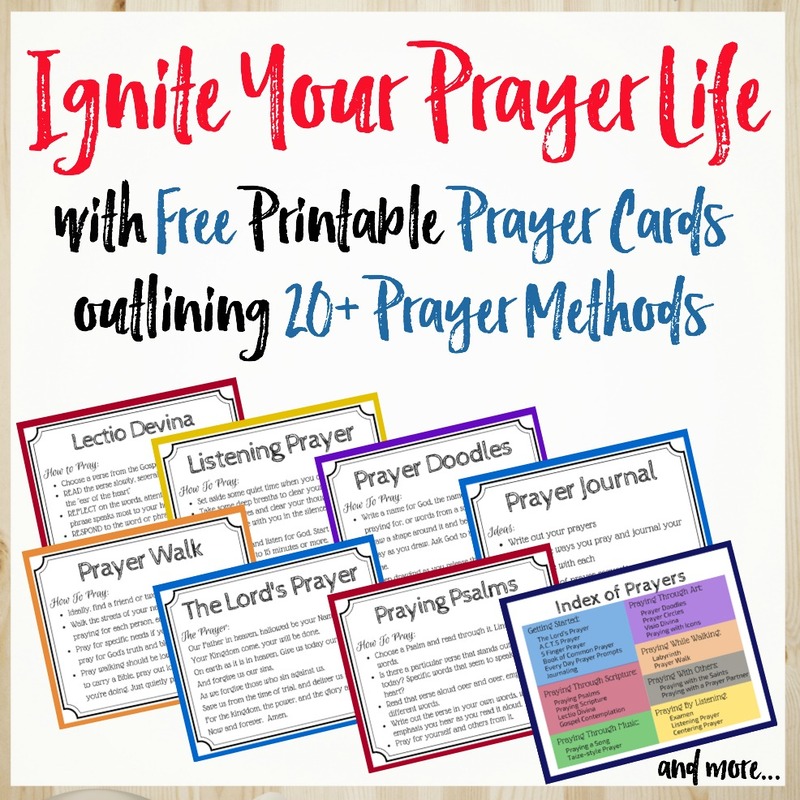 You may also want to pray from scripture (especially a verse you have memorized) or use a pre-written prayer, but when I’m in this place it’s sometimes too much to even do this much. My prayers are more elemental, more raw, more desperate. I sometimes struggle to even pause for prayer, much less find the words – mine or someone else’s. If you find yourself tired and weary, know you’re not alone. We all hit these moments, these seasons. So, know you’re in good company and turn to God, even if it feels like more than you can bear. I promise that turning to God is the one best thing you can do. Take hope in God when you’re feeling weary. God can bring peace and restoration to your soul more than any night’s sleep or day off. God can take the burden off your shoulders, even if the problems are still there. God can provide the energy you need, more than any cup of coffee or energy drink. God will carry through this if you’ll only ask. Good One. I will send it those who need it. here is some quips or memes. I try to remember.